This month’s mission was for the ladies, a challenge to switch from chemical-laden disposables to eco-friendly re-usables. I was overwhelmed by the positive response – further proof that my open-minded readers are ready to blaze the trail of this great green revolution. Many were way ahead of me, and those that weren’t there yet, were certainly willing to try. Seriously, you guys amaze me! But for me, things didn’t go quite according to plans. Due to some wily ex-birth control, I no longer cycle regularly, and this month didn’t present the ‘opportunity’ for experiments. I’d been hoping to try a Diva Cup, but that’ll have to wait. Ah well. I can provide a review of the lovely cloth pads I’d already purchased and tested. I used Lotus Pads because they’re local and carried by my co-op, but I feel I can use my experience to accurately assess cloth pads in general. I love these! Firstly, it seems like common sense now in retrospect, but hello! ?, soft cotton is SO much more comfy that scratchy bleached paper. These feel so lovely, like giving yourself a bit of extra pampering during an otherwise often-uncomfortable time of the month. So nice! And secondly, it’s so much easier than I’d imagined. No messy wrestling with unmentionable issues, just a simple reverse fold technique (explained in the product instructions), a dunk in cold water to minimize stains, and you’re good to go until laundry day. My one complaint is their palate and patterns. Definitely not my style, but I suppose it’s a minor quibble in the grand scheme of sustainable living. Not enough to turn me off, that’s for sure! So what about you guys? What were your experiences, adventuring into this brand new territory? Way back when, when I first started my period, my parents were totally into the idea of cotton pads. At that time some 20 years ago (eek! ), they were still worn with a belt, and they were made from quilting cotton. I seem to remember a virtual rainbow of calico prints. Anyhoo, suffice to say, I couldn’t wait to stop using them and start using tampons. Which I later eschewed for regular pads, because tampons gave me cramps, but that took me another decade or so. Fast forward to this year, when I turned to the Diva Cup and Luna Pads. I’m so impressed with both, but I what really impresses me is the comfort of the next generation cotton pads, versus the ones I used when I was 13. Flannel is so much better then quilting cotton, and the snap closure beats wearing a belt hands-down! Hurray for progress! My girlfriend Virginia has been using the Diva Cup for several years, and absolutely loves it. I no longer have a period, and so have never tried it, but she assures me that once you try it, you’ll never go back. I don’t know whether or not I’m ready to make this commitment, but I certainly applaud and admire those who do. I will do some serious thinking about this! @ Mari – That’s awesome to come full circle. Hooray for textile evolution! @ Cindy – I hear the same thing! I mentioned at the beginning of the “mission” that I have been using the Diva Cup for a long time now and LOVE it, but I did purchase cloth pads for backup/lighter days to try this month. And, of course, it now seems so obvious – why am I just now hearing about this? I’m definitely not going back. 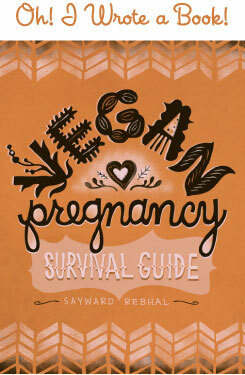 Sayward I’m totally with you on the patterns – next goal – make my own! @ Virginia – It seems to be the way to go! I love my diva cup. I started using it Years ago after highschool for medical reasons, but I cannot believe I was “trained” on anything else. Worth the money and time, I’ve converted most of my bleedin’ friends! Good topic! my period came and went and I did not, once again, try out the diva cup, like my plan had been. I think I am having a mental block, like I get with taking movies back to the video store:) I am really going to try it out next cycle:) really, really! @ Jenny B. – Haha, no rush lady. You’ll remember when the time is right, right? Ive just had my second baby so I havent had a period in awhile, but my friend swears by using sea sponges. She says you can get them at the craft store for cheap, cut them to an appropriate size, sterilize with tea tree oil and then use them like a tampon. Just thought I would throw that out there to show another way! @ Annie – Interesting, I haven’t heard about that. I would worry about sterilization, but it’s definitely something to look into. I’m pregnant as well so I won’t be needing to think about this for a while, some day when I do I’ll check this option out. Thanks! 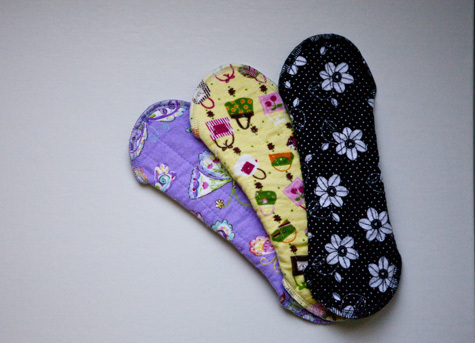 I have used cloth pads for almost two years now, and got my oldest daughter started on them also when she started her period last year. We love them and can’t imagine going back to plastic pads and tampons!! I was worried about it being too “icky”, but they are so easy to care for, I don’t think twice about it. @ Vicky – I agree completely, I can’t imagine going back and now the cold, scratchy feeling of a regular pad is what sounds ‘icky’ to me. That’s so great that you’ve urged your daughter in that direction as well – what an awesome mama! I’ve been using cloth pads for about 3 to 4 years now and I love it. You are so right about how the cloth is much more comforting during this time. I was on birth control up to about two months ago and my flow was regular-ish and not really heavy, so I was ok with having one type of pad. I went off the BC two months ago after the husband got snipped and we got the green light. My periods have been wacky crazy and horrendously heavy. So much so that I’ve started to consider getting a diva cup. This month I have decided to go back on the BC because …. well … the husband has decided to leave and the pain with my periods is so bad that I just can’t do it. I’m pregnant so I still haven’t had a chance to try the Diva Cup, but I can’t wait to give it a go! From the response of my readers, I think I can recommend it with confidence. Good luck with the new BC, I hope your periods get easier! how does one go about cleaning cloth pads? i get irritated enough trying to get the tiny spots out that sometimes end up on my underwear when i leak (i use organic, applicator-free tampons mostly). do they just stay permanently stained? also, how often do they need to be changed? what am i supposed to do with a bloody cloth pad when i’m at the office? @ brown – It’s similar to cloth diapers, where you wash them cold (you can do this in a sink to save water, really they just need a rinse) and then again on hot. That should help prevent staining but honestly, it’s a pad, so it’s not meant to be perfect! I pretty much gave up worrying about staining on mine. Underwear is different and should be ‘pretty’, but pads? Meh . . . I change them the same as regular pads, it really depends on the flow. But on light days I’ll go all day on one pad. When you remove it, you fold it up in a certain way (it comes with directions) that keeps it nice and contained. If you were at work, you could keep a little plastic baggie in your purse for the used pad. That’s what I would do. One product that I can recommend, that I get from my local health store, is Ecover Stain remover. I use it on my pads and the blood comes completely out- even on pads I had dried in the dryer with remaining stains. I’ve never seen anything like it! Boy, I used to be all about the cloth pads and the Keeper (similar to Diva Cup, but latex rubber). Then severe endometriosis struck and I was using the pads all day, every day of the month, and I just couldn’t keep up with the laundry. During my actual period, I was a religious user of the Keeper, which I loved. But notice I’m using the past tense here: after I had abdominal surgery for the endo (no fun), the Keeper absolutely stopped working for me. I’m not sure what changed internally, but I couldn’t get it to work properly. I even bought a Diva cup, thinking my Keeper was too old, but it didn’t work either. This thread is old, but I wondered if anyone had any thoughts on this problem. @ Leah – Thanks for your comments and sharing your story. I know that people do go through the archives, so hopefully this thread will continue to grow as people add their own experiences. That’s so interesting that cups no longer work for you. I, too, would be interested in knowing what changed! I’m new to this website but thought I’d share my experience with the Keeper. When I was in college about 9 years ago, I overheard a student in my Women’s Studies class say to another student, “You know about the Keeper, right?” “Oh of course! I don’t know what I’d do without it.” That stuck with me and I finally tried it about 3 years ago when after some health issues, I started getting my period regularly again. HOOKED. I feel bad for all the waste I produced in years prior, but I try to make up for it by making sure my girlfriends know about the Keeper. Just a personal tidbit, I still find it VERY hard to insert, but I have found a way to fold it so that it works for me. Anyway, great website. Keep up the good work and good luck with the new baby. @ Kenna – Thanks! And thanks for sharing your experience with all of us. Yeah for reusable menstrual products! I’ve been using the Diva Cup for years now, and it has been SUCH a lifesaver. I DO recommend it when you get the chance! So I bought the Diva Cup after reading all the wonderful comments about it here. Just used it for the first time & am having some technical difficulties. Hopefully I’ll get the hang of it after a few tries. Today I managed to put it in wrong (vertical not horizontal) & the 2nd attempt, successfully horizontal, ended in leaking. Not sure how in the world they expect you to rotate it to get it to seal. I’m sure I’ll find it easy after a few attempts. :/ I hope anyway…I really want this to work & don’t want to have wasted $40! Yes, a learning curve for sure. I did keep trying & toward the end of my cycle got successful results…for sure the message to others is uncomfortable or is leaking (obviously) then it’s not in right…keep trying! Also plan for the emptying of the cup to take place at home or in a private single stall bathroom. You don’t want to rinse that thing in a multi-sink public restroom. Take a bottle of water in the stall with you if you have no other options so you can rinse over the toilette. Good news is that with it you only do that 2-3 times a day so you shouldn’t be stuck in that situation very often. And Sarah, it took me a few trials to really get the hang of the DC and sometimes, its still hit or miss, lol! I’m late to this convo also but I finally sucked it up and got the Diva Cup (I had tried the instead cup probably about 8 years ago or so..not too bad but obviously I like the reusable aspect of the Diva Cup). Upfront money cost is such a funny thing, isn’t it? Obviously $23-30 dollars for an entire YEAR (plus!) is wayyyy better the cost of buying pads or tampons for the whole year. But the initial cost was still off-putting to me (illogical but true). Also, as I had not gotten my period for a few years I kept assuming my period would go away again so I constantly put it off. WELL…I never thought I would say a feminine product was almost life-changing but…alas..wow! I was never a fan of tampons–my mother was quite anti-tampon and although she let me try them I think the discomfort coupled with her (silent) disapproval made me dislike them. I begrudgingly used them when I was going swimming and used them more and more as I started getting older but honestly hated the way they felt and even though I don’t get heavy periods, I would get leakage quite a bit (ick!). The Diva Cup is AWESOME! Yeah, the idea of washing it out in a public restroom gives me the heebie jeebies (ha ha!). But, really, if it only needs to be changed every 12 hours I am sure I will almost always find a private bathroom during that time. BY FAR the most comfortable thing..EVER! I honestly don’t even feel like I am having a period. Sustainable, convenient, inexpensive, and comfort..what more could a girl ask for? 2 thumbs way up..go for it!